“You have breast cancer” is one of the scariest phrases anyone can hear. New breast cancer diagnoses will affect more than 192,000 women and even 1,910 men this year according to the American Cancer society’s 2009 estimates.1 Not only does it deeply affect those who have received the diagnosis, but the patient’s spouse, children, friends, and other loved ones can also feel like victims of cancer. Going through cancer treatment can be confusing, depressing and very taxing on the body. Loved ones caring for cancer patients often go through the same trials. Additionally, people are learning what proactive things they can do to help lessen their chances of getting cancer. 3 Exercising regularly , eating a balanced diet of low fat foods, quitting smoking, watching alcohol intake and controlling stress levels are all thought to contribute to fewer instances of different kinds of cancer including breast cancer. And even if there is a diagnosis of cancer, if one is in the best physical health possible, it will ensure the best chance of conquering the disease and experiencing renewed longevity. However, it is easy to get discouraged and feel powerless when cancer has touched you or a loved one’s life. One of the best ways to face the myriad challenges cancer can cause is to become proactive in some way. If possible, get involved with an organization or encourage others to participate. Make a donation in your name or a loved one’s name. If you are caring for a loved one with cancer, joining one of the many organizations fighting to improve cancer patient’s lives can be very empowering. Write your Congressman to prevent same-day hospital release of mastectomy patients, or encourage your company to match charitable funds donated for research. These are little ways you can contribute that will make a big difference in many people’s lives who have cancer. There are also support groups for cancer patients and their caregivers that offer tremendous emotional support and are more than worth the time invested. Remember that hope is paramount. Collectively, we can make a difference, and one day live in a cancer-free world. 1 American Cancer Society. "How many women get breast cancer." Article (http://www.cancer.org/docroot/CRI/content/CRI_2_2_1X_How_many_people_get_breast_cancer_5.asp?sitearea=), September 29, 2009. 2 Gallup.com. "US Smoking Rate Still Coming Down." Article (http://www.gallup.com/poll/109048/US-Smoking-Rate-Still-Coming-Down.aspx), July 24, 2008. 3 American Cancer Society. "What causes breast cancer?" 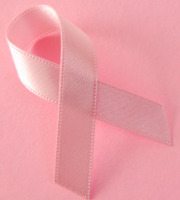 Article: (http://www.cancer.org/docroot/CRI/content/CRI_2_2_2X_What_causes_breast_cancer_5.asp?rnav=cri), September 29, 2009.